I am very proud and honored to have last years Title sponsor coming back for 2014 as the "Presenting Sponsor" this year. Charis Contractors, LLC has been gracious enough to continue to show their support of this wonderful Tournament for the Youth Bowlers that come from all over the mid-atlantic area to participate. 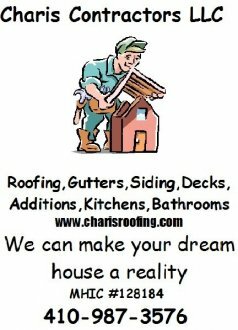 Please show your support to them by contacting Charis If you need or anyone else you know needs any home Improvements ! I want to extend my sincere gratitude and heartfelt thank you to all the participating and contributing sponsors of this years 2014 Danny Wiseman Youth Scholarship Tournament that made this the most exciting and largest event yet ! Look for the 2015 edition to have a few changes to accommodate even more youth bowler entries ! !